Thus began my introduction to “Surf’n’Turf”; the culinary art of combining seafood and meat. The Meat Co, a South African franchise, definitely caters for the omnivore, and they hope you’re feeling hungry. We're heading towards Westfield on a quiet, non-descript Tuesday evening. (Please note, it's not actually IN Westfield's uber-mall, thank goodness, but rather outside it and in close proximity to Shepherd’s Bush tube). It's (seemingly genuine) charm all round from the staff on our arrival as we kick off our evening at the bar, buzzing with a 'happy hour' vibe, the kind you might find on a Continental holiday, soundtracked by kitsch beats, but charming in its own way. The ambience seemed more refined on the second floor, where it felt like we were boarding a gargantuan brass spaceship; one apparently powered by New World wines stacked in mighty glass cabinets in the centre. Around the room, the walls were hung with knives, African masks and a large photo of Nelson Mandela, who peered over my shoulder like an attentive host, monitoring my menu choices. 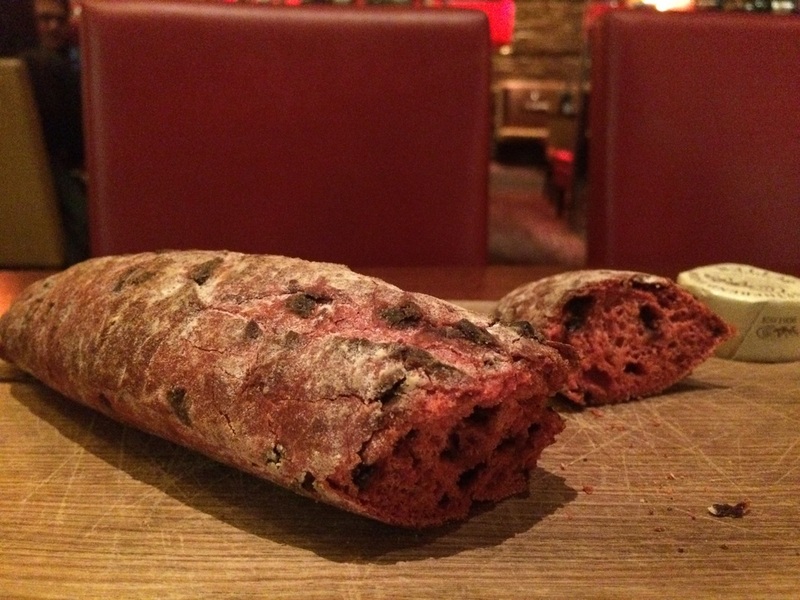 We began our meal with the intriguing Chocolate and Beetroot Bread. It tasted deliciously subtle in sweetness and I assumed this was a South African touch, but our waiter informed us it’s in fact Middle Eastern. Having set up branches in the Middle East, certain flavours of the region have been incorporated on The Meat Co menu, including halal options. The Rib Meat Scallop Trio came out first - three huge, Jenga-style towers of scallops and beef neatly balanced on beds of mashed potato. All plates looked and tasted fresh and appetising. There is an overwhelming amount of choice when it comes to meat. I chose the fillet of beef, my friend opted for the wagu which was memorably juicy and tender. 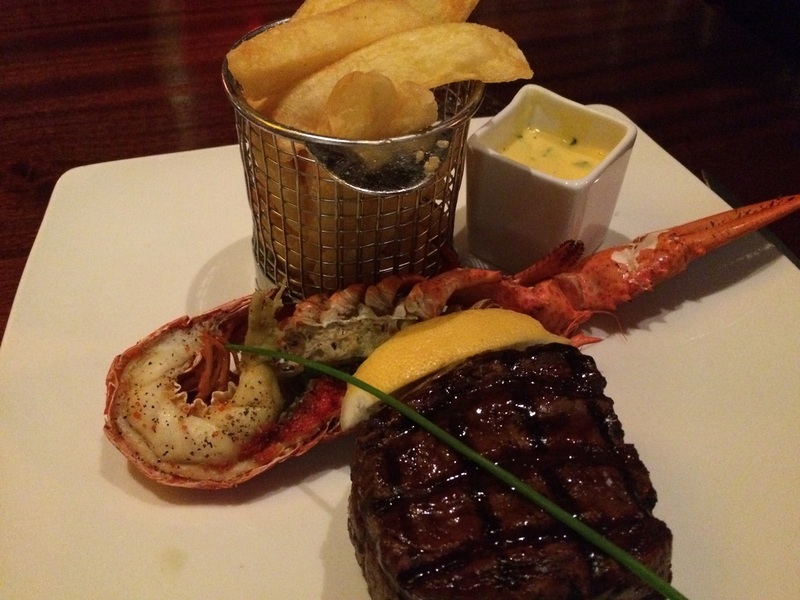 In true “Surf’n’Turf” style, I chose lobster as a topping for my fillet, and my friend opted for prawns. A word of caution - the portions are very large indeed. Despite the initial seafood and meat combo excitement, we both felt the toppings distracted us from the superb steaks instead of enhancing them. The wine list is broad, with choices from Africa, Australasia, the Americas and Europe and our glasses of Merlot teamed up delightfully with the steaks. There was no room for dessert, so we ordered the Chef’s Tasting Platter for two, which, in reality, was enough for three or four people. Highlights included the Dark Chocolate Fondant with vanilla ice cream - the hot sauce and cold ice cream was an undeniably successful union . The Madiba Pudding was also moreish and a lovely way to enjoy the final stretch of our journey. The Meat Co might not be the cheapest steal option in town, but the high quality cuisine and extremely generous in portion sizes will at least give you a lunch option the next day if you feel like taking your leftovers. 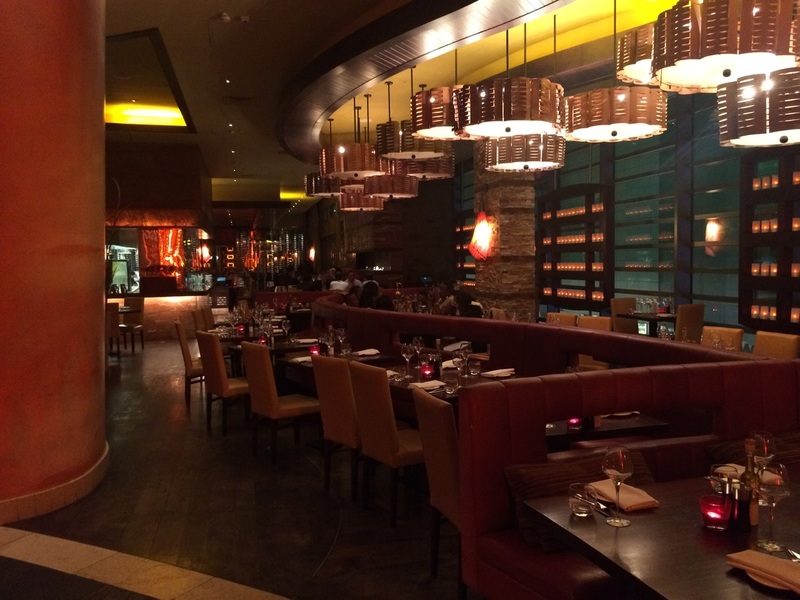 It's definitely one of the more delectable additions to Westfield and a standout from the same old chains. 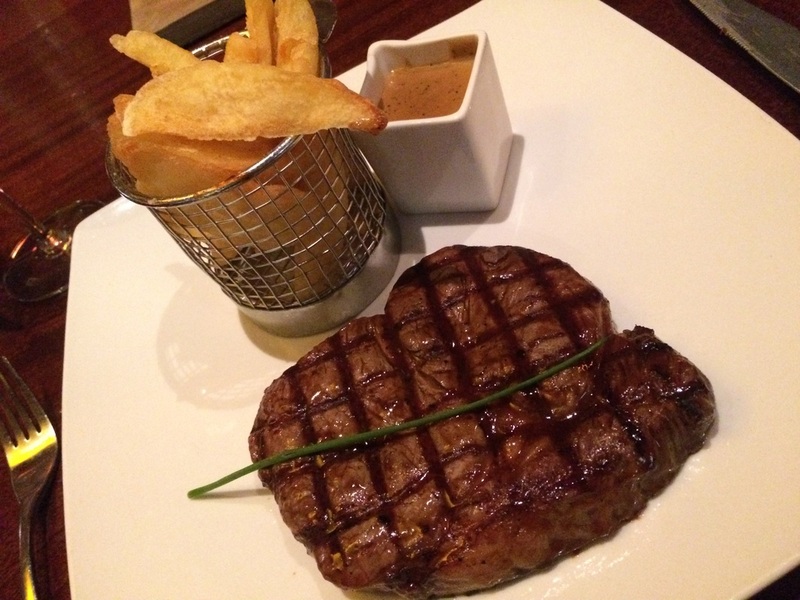 If quality and unpretentious dining is your thing - perhaps a date night or family celebration - The Meat Co will provide. 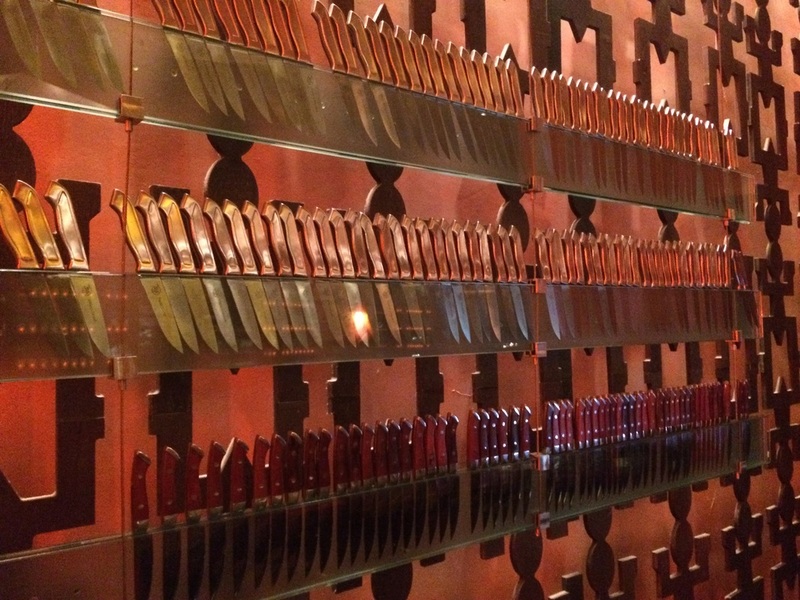 What could possibly go wrong with knives on the walls?